Happy Monday, Y'all! I hope this new week is off to a great start for everyone. And I hope everyone had a great weekend! We actually ended up getting some snow. We woke up on Saturday to snow everywhere! Needless to say, I was shocked but so excited for Madeline's first snow. She didn't know what to think but that may be because of the fact that I had her out in it at 7:30 in the morning. It was pretty much melted away by 9ish as it began to warm up. It was so much fun to watch her experience it. It has been so chilly here lately, so I have been wanting to wear scarves. This one is a favorite that I purchased back in the fall. It is still available and on sale! The colors go with so much. Also, did you notice that I have joined the Fitbit club (thanks to Jaclyn)?! I am obsessed! I have gotten back into walking every morning, so it has been perfect. And the best part? There is this huge sense of accomplishment you feel when you reach your daily goal. I purchased this fun Tory Burch bracelet to keep it in, so that I can more easily pair it with outfits when I'm not working out. Happy Friday, Friends! Since this weekend is a cold and rainy one for many (still praying to maybe, just maybe, see some snow here) and a snowy one for others, I thought it would be fun to share a few things that have captured my attention recently. I hope y'all enjoy! Here is something that will for sure be a bright spot on your Instagram feed. Botanical artist, Bridget Beth Collins, shares her floral artwork that is pretty incredible on her Instagram (@Flora.Forager). I had a hard time deciding which of her photos to share because each and every one is pretty amazing! They never fail to put a smile on my face. Go follow her now! I am so going to try this! I saw it on Pinterest and couldn't get over how yummy and clever these are. 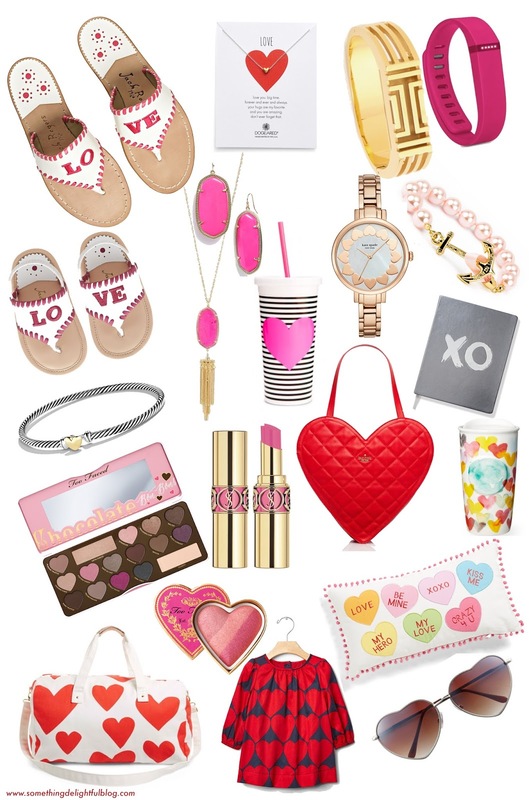 How perfect are they for Valentine's Day?! They are like an inverted chocolate covered strawberry. Do yourself a favor and buy some of this now! One thing that I never find the time to do (#momlife) is moisturize my skin. As I was complaining about my dry skin, my sister recommended this to me and it is amazing! You simply apply it to your wet skin right as you get out of your shower/bath then dry off after you apply it. My skin has been so moisturized ever sense I started using it. Seriously, how pretty are these iPhone cases?! 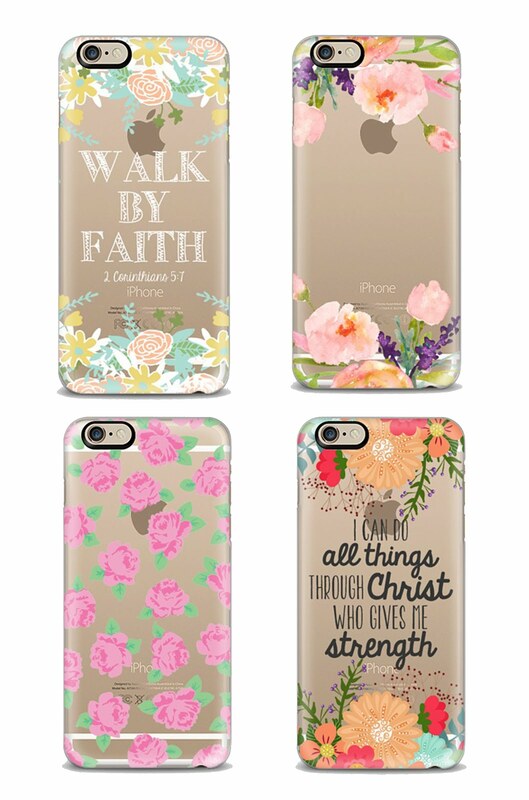 I saw the "Walk By Faith" one featured in a Casetify advertisement on Instagram and had to search for it. Upon finding it, I also fell in love with so many more. Check out the artist The Olive Tree to see more. This mother of a child with down syndrome is changing beauty standards. This video absolutely touched my heart. Here's the story of a mom (Katie Driscoll) and her daughter Grace, who has Down Syndrome. Together, they are Changing The Face of Beauty with a movement they began in 2012. It is such a powerful and amazing movement. My Uncle Doug has Down Syndrome, and he is the biggest joy of our family. This story really meant a lot to me. Happy Thursday, friends! 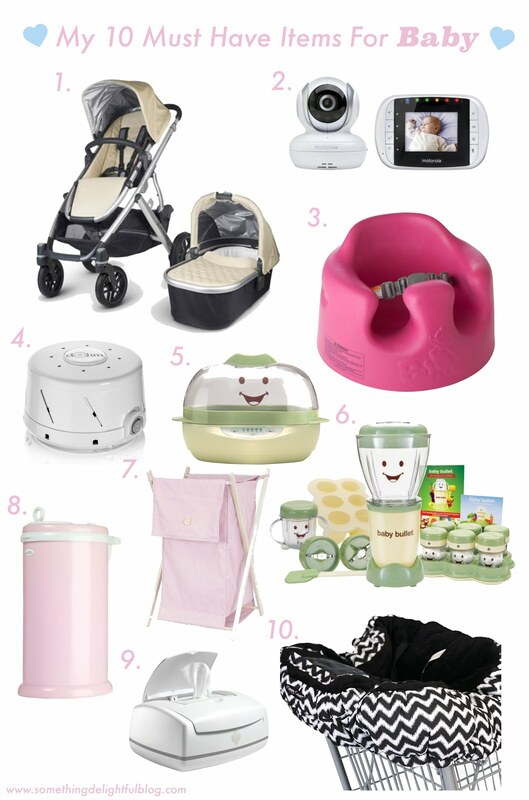 Today I want to share some of my must have baby items. Trust me when I say that I have been through many baby items. There are so many that I feel that I wasted money on, and some of the ones I never thought I'd use/need ended up being my favorites. So here's how it goes (I'm sure every mom reading this can agree with me): You create your baby registry and think you'll need all of these items for your baby. You receive them for your shower and think you're all set. Your baby arrives and you quickly realize that she doesn't like anything you thought she'd like. So then, you research other things to buy that other moms have said work great. Then you decide to invest in a few more items and before you know it, your baby has outgrown them, outsmarted them, or never really liked them at all. In other words, every mom is different and every baby is different, so you eventually figure out what works for you and your baby. But these are a few of the items that I use on a daily basis and couldn't live without! This stroller is amazing. When I first purchased it, I felt like it was too big (the frame of the stroller is wide!). I have fallen in love with this stroller so much that the width of the frame has never bothered me. It is so easy to push and the huge wheels make it such a smooth ride for baby. Madeline never liked the bassinet piece, so I always ended up connecting her nuna PIPA infant carrier (with these adaptors) to it. It all worked great for us. Now that she is in the actual seat for the stroller, it's even better. The seat part reclines, and the foot rest can move up and down as well which is great! I couldn't say enough good things about this stroller. I highly recommend it. I couldn't do without this monitor (or a monitor in general). But I do love this one! It's easy to use. Motorola stands behind their word as well, because I have already had it replaced once for free since the battery became worn out. One thing to remember is to hold on to the box! If you do end up needing a replacement, you'll need the box. The Bumbo seat is THE BOMB. The end. This little seat costs a fraction of what I have paid for other seats. It is definitely a winner. I think babies love this seat because they can sit upright in it. I started Madeline in it around four months old, and she still uses it now. Madeline has always been that baby that doesn't want to be placed in anything, hates being buckled into her car seat, wants you to hold her all the time, etc. But the bumbo seat is one of the only seats I have ever been able to have her sit in...without a fuss! I'm convinced that Madeline is the lightest sleeper ever. I couldn't live without this sound machine! Not only does it sooth her as she now relates the noise it makes to "it's time to go to sleep," but it also does an amazing job of fading other noises out so that she can sleep soundly. If you are a baby bullet user, then I highly recommend the baby bullet steamer! I started off steaming her veggies on the stove, which took forever. This little steamer has been a life saver and a time saver! I knew early on that I wanted to make all of Madeline's baby food. I have so enjoyed the baby bullet. It is such a great system that makes life easier. From the entire baby food cookbook to the little containers to store it in, it's simply amazing! I have learned so much about the stages, recipes, etc. of baby food from owning this system, where as I would't have known where to start if I didn't have it. I picked up this little pink hamper from Babies "R" Us right after I had Madeline. It has been amazing. I like how it easily holds a days (it would hold more, but I try to wash everyday) worth of clothes. I also love how I can just take the mesh bag holding all the dirty clothes out and take it straight to the washer. And to add to the way it makes life simpler, it's super cute as well. A diaper pail is a must have! I love this one so much. It comes in a bunch of cute colors as well. And I just ordered a big vinyl monogram to place on the front of Madeline's (just to add a personal touch). The older Madeline has become, the more I use this floppy seat cover for highchairs and shopping cart seats. Yes, germaphobe over here! I keep it in my car and take it in everywhere! Happy Wednesday, Y'all! I can't believe we are already half way through the week. So, the one thing that stands out to me with this outfit is...you guessed it, bows! Y'all know I'm a sucker for bows. This bow top from Chicwish is the perfect girly bow top that looks so cute tucked into any skirt. And being from Chicwish, the quality is great with an even more amazing price. This skirt is also perfection. I love anything tweed, and the black, white, taupe and blush color combination is my favorite! It is only a little over $50, but it does run small, so go up one size! 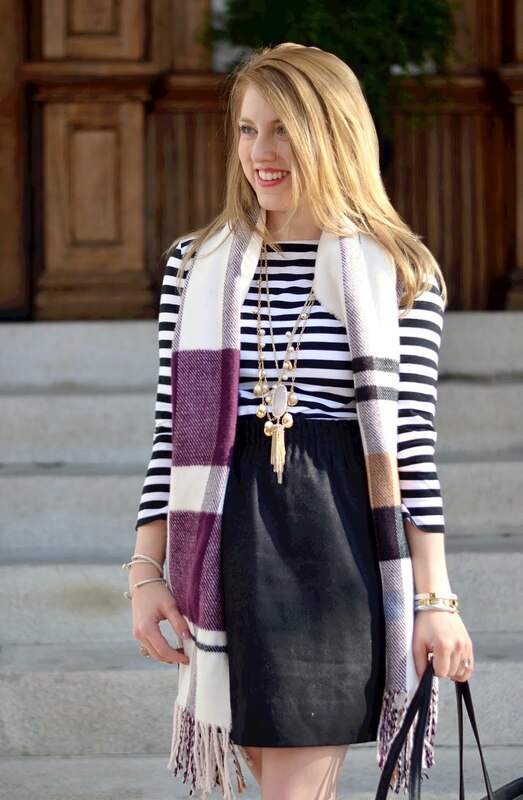 How cute would this outfit be for a Valentines Day date?! One last thing I want to mention is an amazing sale going on over at Saks Fifth Avenue! Through today only, you can receive up to $275 off your purchase. Several brands are excluded, but so many amazing ones are included. For instance, Kate Spade, Tory Burch, Manolo Blahnik (check out these that are on sale on top of the already sale price), 3.1 Phillip Lim, Ferragamo (these are rarely ever on sale), the UPPAbaby Vista stroller and much more! Which is your favorite? Happy Tuesday, Friends! Have you ever heard the saying that happiness is a choice? There is so much in the world today that can get you down. Seriously, just watch the news and you are assured to find something to worry about. There always seems to be something in our everyday lives that we can get stuck on and make ourselves go crazy worrying about it. There is always someone in life that will try to get you down even if that was never your intention. These are the things that make me realize happiness is a choice. Now, how do you fight worries and replace them with happiness? The way I do this is simply look at your day, your life, and the things that bring you joy. Though hardships may come and there is always something to get your mind in a dither, God is faithful. He has placed blessings all around us. For instance, I look at Madeline and the joy she brings me. I look at her and think about how much God really loves me to bless me with her and allowing me to be her Mama. I look at the beauty of a sunny day and the blue sky and think wow the Lord created that! I look at the friendships and the strong bond I have with my family and thank the Lord for such compassion He has for blessing me with them. I look at the ways He has helped me with balancing life and school all while being a Mama. Do you see what I'm saying about finding the blessings everywhere? And that is how I choose happiness. I choose happiness by inviting the Lord into every aspect of my life. It is through my walk with His that I have the peace I need for each day and the happiness I have to overcome whatever this world throws at me. I also remember to take whatever the Lord has placed before me and use it as a time to grow in faith. I encourage you today to choose happiness. Set aside the fears, the worries and the doubts. Look around you and see the beauty of the day and the blessings the Lord has set before you. Place your happiness in the Lord. I hope y'all have had a great week so far and are gearing up for an even better weekend!